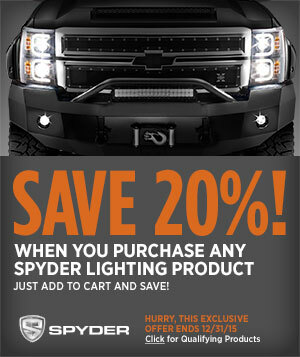 Today (12/31/2015) is the last day to take advantage of 20% off Spyder Lighting! Questions? Our chat team can assist with answering your questions!